Welcome to Peter E. Baker Antiques. 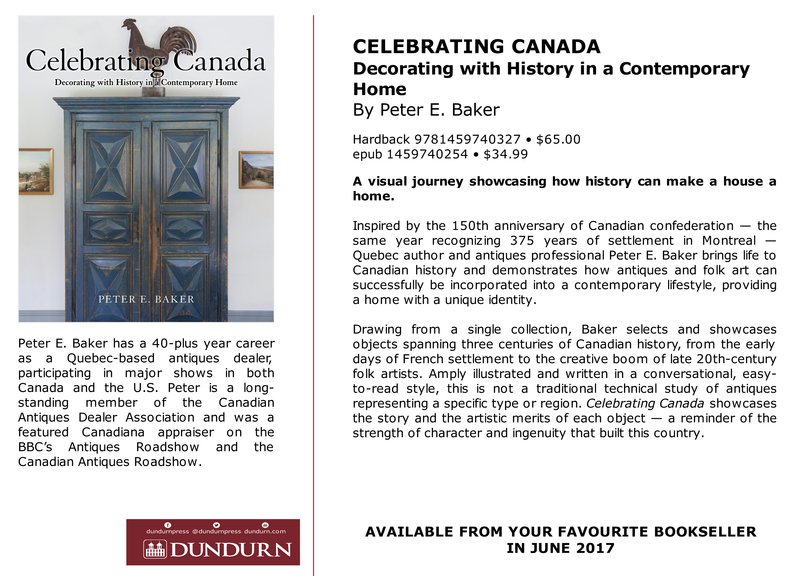 With over 40 years experience dealing in 18th and 19th century furniture and folk art, we pride ourselves in offering classic Canadiana as well as unique objects and accessories of distinction to meet a wide variety of tastes and budgets. All objects sold by Peter E. Baker Antiques are described carefully and guaranteed as represented with full restoration details provided to prospective purchasers. Although our focus is on original colour, we do handle select refinished pieces as well. Item descriptions on the web site are in English, however, we can provide details in French either by phone or e-mail. So take a tour – this is a sampling of what we have available to accent your home or add to your collection. We would be happy to discuss specific needs in greater detail at your convenience. Federal and Provincial taxes applicable. Shipping extra (generally included on smaller items depending on size and weight). Shipping can be arranged no matter what it is or where it’s going. Measurements may not be exact.